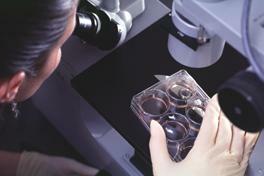 Should stem cells be used in medical research? The use of embryos and aborted fetuses in scientific research is again under scrutiny, thanks to last year's landmark isolation of primordial human embryonic stem cells. These “master cells” are capable of evolving into virtually every kind of tissue in the body and could be the key to cures for conditions such as Parkinson's disease and diabetes. They also offer a never-before-seen glimpse into the earliest stages of human development. But anti-abortion groups and other critics contend the privately funded work runs counter to a 1995 congressional ban on embryo research and want to bar taxpayer money from subsidizing the research, regardless of the potential benefits. Congress and the National Institutes of Health are trying to devise new guidelines, and sidestep political minefields.education boosts academic achievement.